Here’s Daan, the Chief Divinity at Moto Adonis. 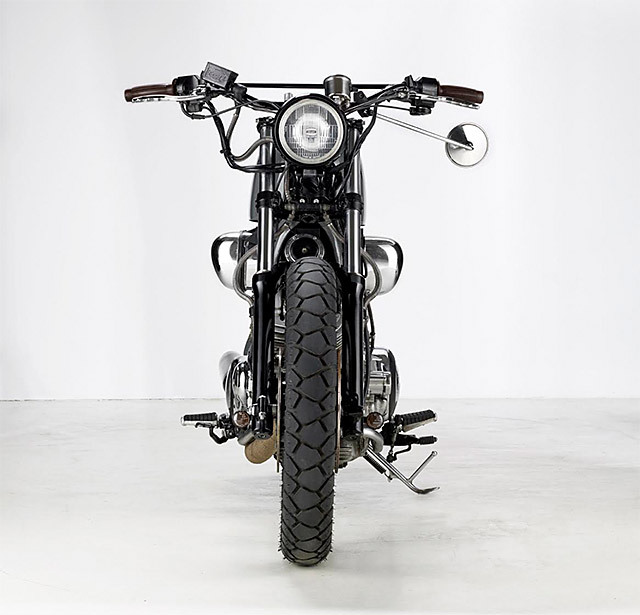 “We’re one of the few shops in the Netherlands which builds customized bikes, like this scrambler. 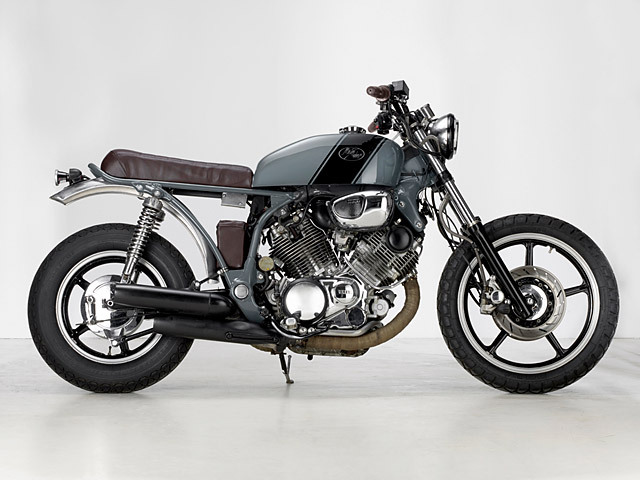 Based in an old factory in Roosendaal, we try to think of all our builds a summoning forth some kind of young god of motorcycles. It is our belief that there is a young and fresh looking design in all the oldies. This build is actually our eighth project which we’ve resurrected. 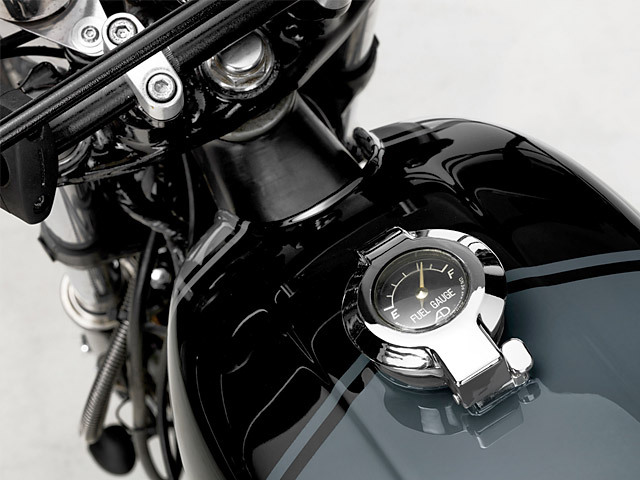 “The customer was looking for a classic-looking but rough bike, with plenty of power and a solid body. 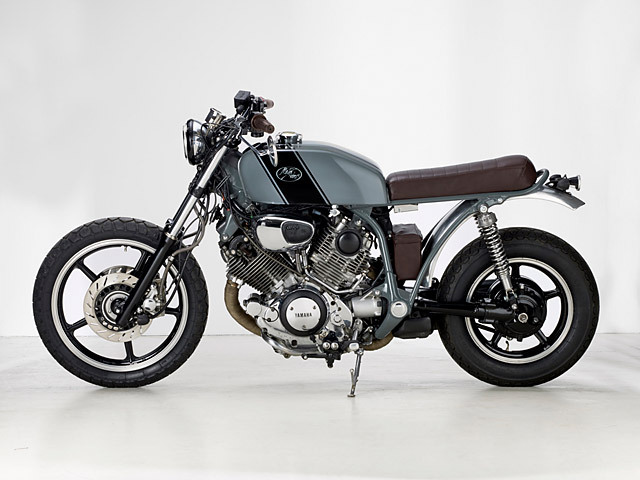 Moto Adonis chose a Yamaha Virago XV1100 as it’s a rare bike in the scrambler scene. 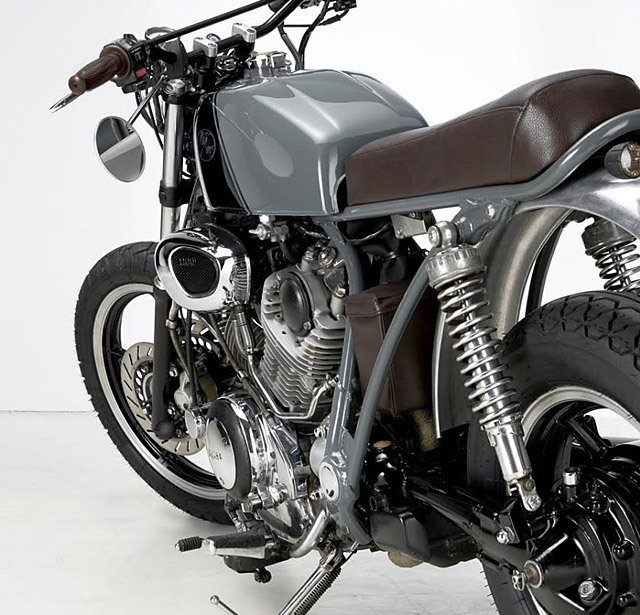 We also felt it was a good way to express the unique style of Moto Adonis and to meet the wishes of the customer. We finished it off with a beautifully done paint job in a distinguished, restrained grey and black. The bike was ready to hit the dirt, and the owner was more than a little happy.” Daan, somehow that doesn’t surprise us. Not at all.